While I may not be IU‘s biggest fan, I am quite happy to say that the girl is talented and is certainly deserving of the attention she gets currently. As such, it really didn’t come as a surprise when her Japanese debut was announced (and well, the rumour’s been around since 2011 amongst the J-Pop fandom). Unfortunately, the release she was making wasn’t a surprise either, being a remake of her Korean hit “Good Day.” I have a somewhat un-mendable recoil instinct regarding Japanese remakes of Korean hits and it really doesn’t matter which artist does it, whether I love them or not. However, there will always be that one exception with manages to confuse me and even (god forbid!) make me like the Japanese version more. “Good Day” however, doesn’t quite fit the bill. While there are several legitimate reasons for somebody to dislike remakes, the main one that I’d take wouldn’t be the issue with lyrics. Yes, certain songs are perfect in Korean but sound like a dying cat in Japanese — what is the problem though, is that as good (or bad) the lyrics may be in Japanese, the melody will ultimately remain the same. “Juliette” in Japanese is going to sound the same as “Juliette” in Korean. While I agree that lyrics play a fundamental role in creating a song through both meaning and the phonetic patterns in the words, it is the melody that is responsible for capturing the listener. If lyrics were everything, then there wouldn’t be half as many international fans, guaranteed. As a result, when a Japanese remake of a Korean hit is released, the reaction just isn’t going to be the same. There is essentially no new music, just different words, different meanings, different visuals and potential awkwardness. A lack of fluency in the language too, can be a problem, and this is essentially something that can only be fixed with time and practice. 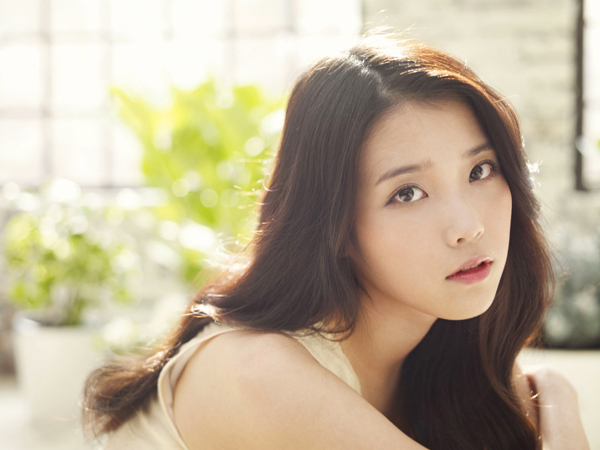 Upon the release of the Japanese version of “Good Day,” there has been a general conclusion that IU’s Japanese appears to be better that that of other idols’. How accurate this is though, I will have to question. For one, while everybody is praising IU’s supposed fluency, they may be overlooking her imperfections. The main issue at hand is a pronunciation problem that can be attributed to her accent. When pronouncing “kaze“, it turns out somewhat slurred, ending up “kaje“. This will probably carry on to any sound that is similar – namely the “z-” and “tsu” sounds which are fairly common in the language. It’s far from being a major issue but once you imagine several other people of similar levels of fluency (probably not very high) singing together, the effect isn’t going to be as clean-cut. That aside though, the Japanese version of “Good Day” is indeed well-produced. The MV sports a similar plotline and the visuals of it are indeed pleasing. However, as much a pleasant song it is in Japanese, the original will always remain a step higher for me. Regardless of whether or not I liked it though, I believe that Japan will be rather charmed by IU and I wish her well, so long as she hones her language skills and releases some fresh material. If we’re talking about remakes that actually impressed me though (what has the universe come to? ), I’d be able to name a few, say the Japanese versions of KARA‘s “Mister,” SNSD‘s “Genie” and BEAST‘s “Bad Girl.” 4Minute‘s Japanese remake of “I MY ME MINE” was also immensely satisfying, though it charted poorly — but hey, when did my favourite girls ever chart well in Japan? I must have said this before, but KARA is undeniably a force to be reckoned with in terms of hallyu-in-Japan. They have the girls-next-door image working for them, which ties in with their poppy melodies — reminiscent of the classic Japanese idol sound. KARA have been blessed in the sense that they have the same image in Korea, and thus, simply had to import it when they came out with the Japanese version of “Mister,” which I loved. I wasn’t fascinated with the girls but I had given the original hit song several listens and figured that it wouldn’t hurt to give the remake the same. Nothing had quite prepared me for how wonderful the Japanese version was. Of course, much of this is based on personal taste, so I can’t possibly expect others to agree with me completely. However, I still feel that the Japanese remake flows much better. I’m not the biggest fan of the Korean language, if only because it refuses to co-operate with my tongue (or vice versa) and for the most part, I thought that the blunter syllables didn’t give “Mister” the charm that it could have had. This issue though, was solved in the Japanese version, where “Nune ttuine saljjak jogum gwanshimi gane” (excuse the rough romanisation) became “aimai na kankei wa akita wa“. While the original isn’t in any way insulting to the ears despite it being Hara‘s line; the Japanese version is more suitable, both in terms of the lyrical flow of the song as well as accommodating Hara’s voice. — make sense? Sure, it might not be as explicitly matched to the concept of a “good luck goddess that wants (wants) to make your wish come true” and perhaps the translation leaves something to be desired, but the Japanese remake of “Genie” is excellent, and I’m not going to withdraw that sentiment any time soon. Especially not when you consider that their Japanese debut single is sitting on my shelf. 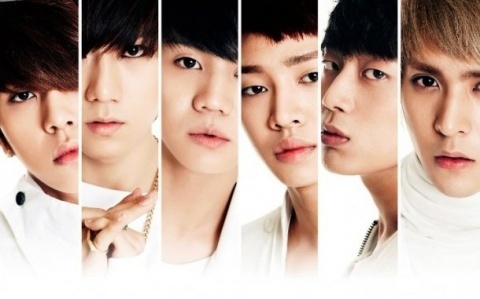 If we’re going to talk about boy groups though, BEAST’s remake of their debut track, “Bad Girl” takes the cake for me. I’m going to put it out there that I’m not a fan of BEAST. Even if I can tell one member from the next, I do not have songs like “Beautiful” and “Freeze” on replay. I recognise them as a solid group with exceptional performance ability and great consistency in musical quality — undoubtedly Cube Entertainment‘s greatest achievement thus far. However, I do not stalk every K-pop site there is for the boys and my computer’s hard drive is entirely devoid of them. The Japanese remake of “Bad Girl” though, was rather pleasant, and truth to be told, rather difficult to not like. The original wasn’t really the strongest song out there, but it had its charms. The remake though, went around with a file and a buffer and cleaned up BEAST’s debut with a surprising ease. The generous amounts of autotune helped with the flow of the song, but for the most part, I’d attribute the change to the language — though the PV also played its part with the sleek costuming and set design. Whether or not this change was well-received depended entirely on an individual’s preferences, yes — and it certainly fit mine. Good remakes, bad remakes… at the end of the day, it’s really the same song with different words. It’s a channel for much-needed profits to flow in, a variation (though arguable) of fan-service and for some fans, a reminder of their group of choice’s relative fame. While remakes are indeed satisfying on one end of the spectrum, they poke and prod at that insatiable desire within us that wishes for another Korean comeback (or is that the inner Shawol in me speaking?). So speak, Seoulmates: what do you think of remakes? Do you have unlikely favourites?